Living in New England, I am blessed with ample opportunities to shoot my favorite landscapes in all four seasons. Winter is my second favorite mainly because of its juxtaposition with the other three where the scenes overflow with color; winter instead, has a stark, minimalist look that provides an entirely different opportunity in landscape photography. In winter, the point of interest in the image becomes much more important. Foreground and background elements that typically play a big roll in your composition often change radically or even disappear into a blank white canvas. The upside is that many views that are obscured in the other three seasons now present themselves. In this PDF, I don’t try to cover all the equipment, clothing, and preparation needed for long hikes to do winter photography; instead I present my view of the important points for those who want to do winter photography without suffering too much of the downside of winter weather. 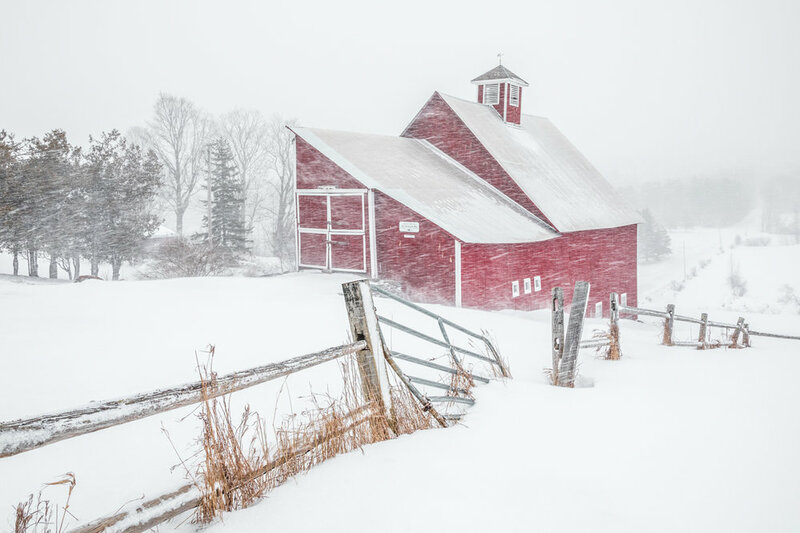 Download the free PDF in my store at http://davelongphoto.com/new-products/tips-for-new-england-winter-landscape-photography and check out all of my e-books and 2019 workshops. I am pleased to announce the newest addition to my growing library of e-books for self-guided photo tours of New England. Central Vermont is my 7th in the series and certainly the most ambitious with 12 location along with links to in-depth landscape photography tutorials. 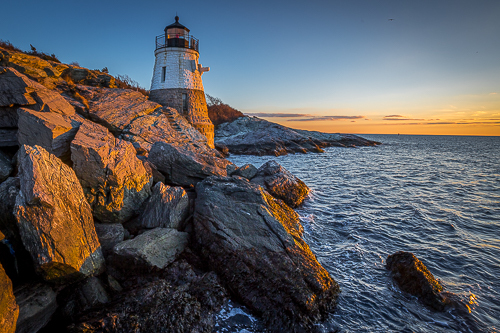 If you are looking to visit this beautiful region of New England, this guide will provide all the information needed for a productive photography tour. Please visit my store for more information. New St. Augustine, FL workshop added. I have just added the Beaches and Birds Workshop to my schedule for March 26 in beautiful St. Augustine, FL. 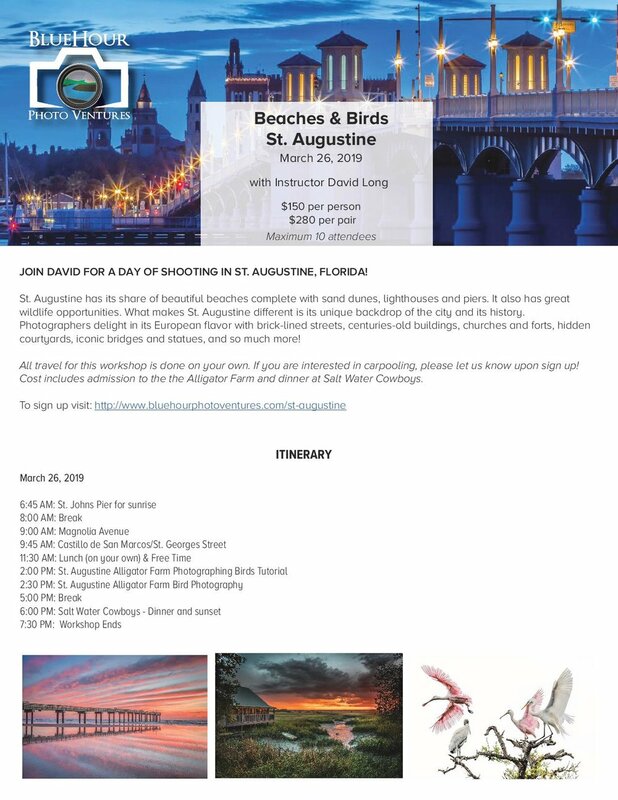 A wonderful opportunity to learn sunrise photography, photograph historic St. Augustine and get a hands on mini course in photographing Florida’s birds in flight. My 2019 workshops are now available at www.bluehourboston.com/workshops and include the following locations. The key point when shooting landscapes in the fall is to remember that the foliage just adds color. You still need a strong composition to create interest for the audience. Fall colors can start in early to mid-September in low-lying marshes and with early-turning trees like swamp maples and birches. Elevation can change timing by at least a week. There are now a lot of good apps that provide fall color maps, but I tend to rely on making calls to local contacts to get the best information. Past peak conditions can still yield rich colors and more isolated compositions to allow shooting into November. My favorite condition to shoot fall colors is an overcast sky as it provides soft/even lighting in which you can shoot all day long. Fog and light rain are even better as they creates a mystical atmosphere and great color gradation. On the rare occasion when there is an early snow, you are rewarded with the colors popping out of a totally neutral background. But fall is also full of sunny days, so keep shooting and look to get out in the magic hours of morning and evening. During the middle of the day, try to find shade when you can or when in full sun try to use it to backlight the leaves in your scene. I use a telephoto lens to compress and bring the leaves more “into the scene”. I usually shoot 1/3 to 2/3 of a stop under and always use a polarizing filter to eliminate the shine off the leaves and deepen the hue. Wind is your enemy in shooting fall colors so I prefer the early morning when it is calmest or I make sure I set my shutter speed at a high enough level to “freeze” the moving leaves. 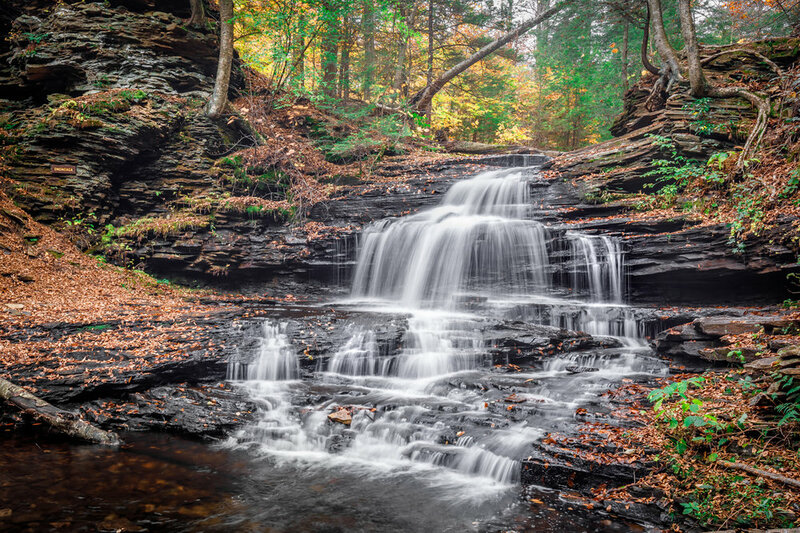 If you have moving water in the scene, use a tripod with a longer shutter speed to give a little motion to the stream or waterfall. I like between 1/3 – 1 second depending on the water’s speed. I try to engage my audience by varying the scene from the traditional landscape. I do many of my shots around still water in order to provide reflections that create a little distortion to the viewers that tends to hold their interest. I also try to find paths, roads, fences, etc. to provide leading lines into the scene/foliage. Another technique to change the normal way the audience sees the scene is by getting low to the ground, shooting straight up or including close-up of foreground leaves in the scene. Fall is a wonderful time to shoot and as Camus said “Autumn is a second spring when every leaf is a flower”. Waterfalls provide their own unique set of problems that requires a unique set of solutions. This article is about those unique problems and the solutions that allow photographers to produce images that communicate the power and beauty that is inherent in the waterfalls that stand before their lenses. An unusual topic to start this set of “best practices” with, but I shot waterfalls for years from “outside” of the water. Sometimes this was great, but on other occasions I could not get the angle I wanted or there was brush or trees in the way. I finally bought a pair of waders and immediately felt liberated. There is nothing better than walking up a stream or into a shallow pond and getting exactly the perspective I am looking for. I like waders better than waterproof boots and/or socks as I can hike comfortably with water up to mid thighs versus calf level. You will find these invaluable in many other water landscape venues as well. Weather plays a huge part in producing great waterfall images. Quite simply, waterfalls do not photograph well in nice, sunny weather. The best time to photograph waterfalls is in overcast weather. Some waterfalls will photograph best in light overcast. Light overcast produces a scene that is gentle but which still has enough power to bring out the colors in a scene. Other waterfalls photograph best in strong overcast. Strong overcast can produce a very moody image with a power to convey that sense of mood in an image. In fact, very powerful waterfall images can even be produced in rainy weather. You are not always blessed with perfect waterfall weather. For those times, be aware of when the waterfall is nicely shaded or when the sun is not hitting it directly. What shutter speed should be used to blur the falling water? That seems to be the first question that people usually ask about shooting waterfalls. However, there is no such thing as one correct shutter speed for shooting waterfalls! Rather, the proper shutter speed is a function of several factors. 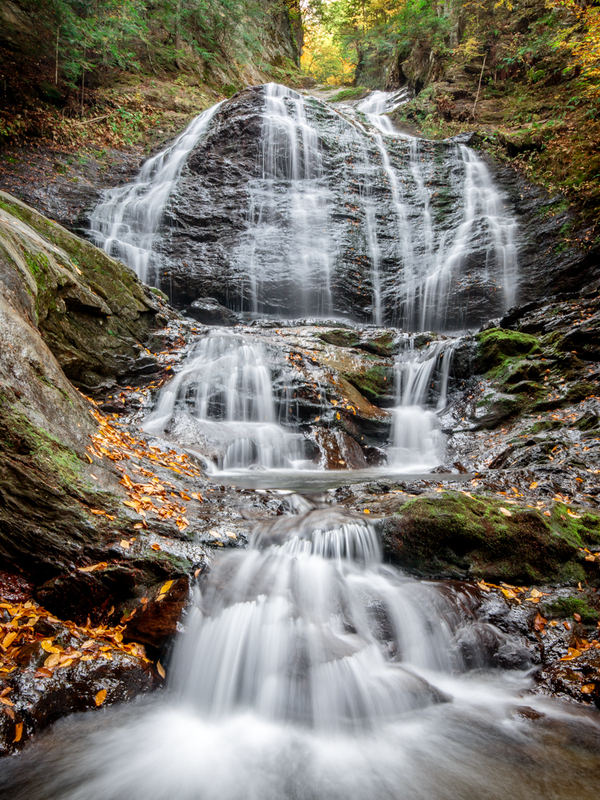 In short, the best shutter speed varies from one waterfall to another. Here are my recommendations. · For large waterfalls with huge volumes of tumultuous water, where it is desired to freeze the violent nature of the falling water, 1/100 second is a good shutter speed with which to start. If you are looking for a silky affect, a starting point may be 1/8-1/4 of a second. · For smaller waterfalls or waterfalls with less water where it is desired to produce a dreamy look, a shutter speed of 1/10 second (fast flow) to 1 second (very minimal flow) is recommended. Anything longer tends to destroy all texture in the water and make the falls look extremely “soft”. Take shots at different shutter speeds and examine the results on the camera monitor. · Polarizing Filter - Objects that are wet tend to produce glare. This is particularly an issue with waterfall shots because the rocks and vegetation near the waterfall will be wet and will almost certainly have a certain amount of glare. A polarizer will remove the glare. In addition, a polarizer has a secondary effect. By removing the glare, the color saturation will improve. · UV Filter - One of the major challenges in photographing waterfalls has to do with water getting on the lens (or the filter in front of the lens). Powerful waterfalls can drop huge amounts of water that produces a mist. In other cases, the weather may produce fog, drizzle, or rain that gets on the lens. All of this can be exacerbated by wind. A partial solution is to place a clear (UV) filter in front of the lens while the equipment is being set up. Once you are ready to go, the filter can be removed in order to take a clean shot. Identifying and capturing strong composition is an extremely important part of creating powerful waterfall images. · Curves can make or break a waterfall image. Waterfalls that have water that flows or falls in such a way as to form curves tend to create much more interest than waterfalls where the water simply falls straight down. In essence, graceful curves add an element of elegance to a waterfall. · The second major component of waterfall composition is the environment surrounding the waterfall. This is extremely important to many waterfall shots. By itself, falling water is not always that interesting. 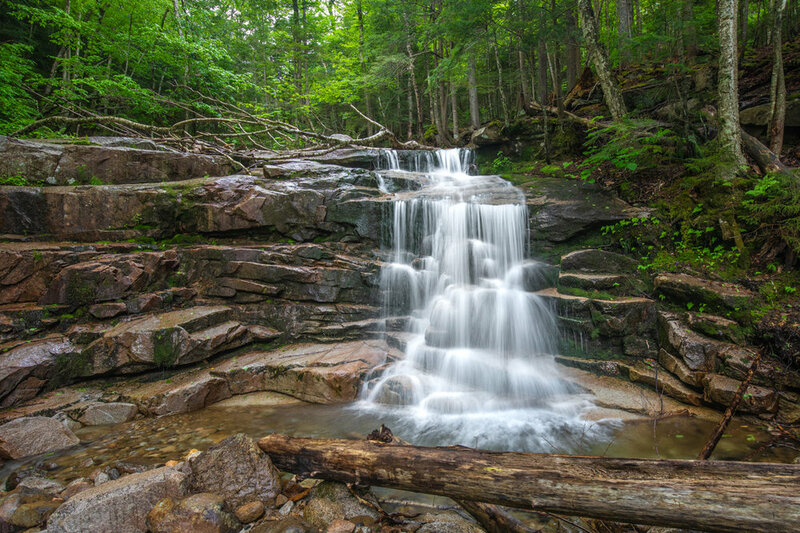 Rather, it is the surrounding environment that gives waterfalls much of their character. Therefore, why not include some of that environment in the image to bring out the waterfall’s character. The surrounding mountains, rocks, trees, vegetation and even buildings and dams can make the waterfall image come alive. Getting the right exposure can sometimes be a challenge when photographing waterfalls. Probably, one of the biggest problems is that it is easy to overexpose the highlights in the water. When this happens, the detail in the water is lost, and the water becomes just a big area of pure white with no detail. 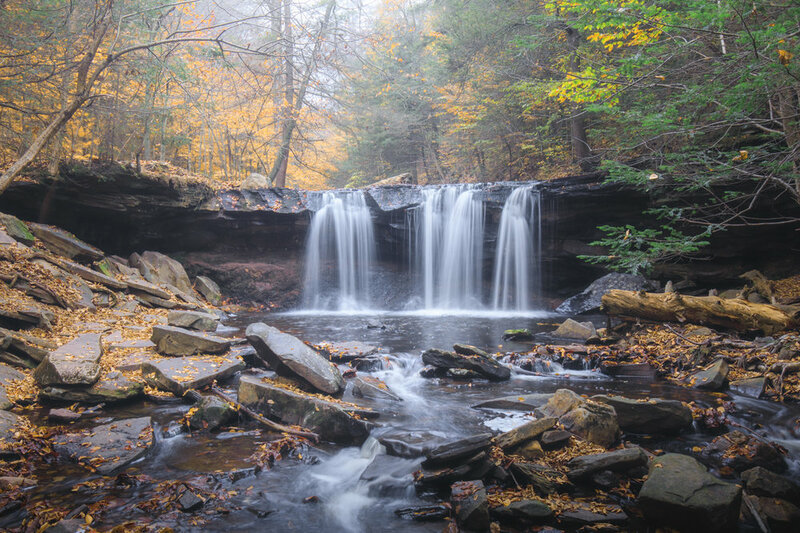 The solution for this problem is to use spot metering on the brightest part of the falls and take a test shot of the waterfall and check the histogram on the monitor of your digital camera. If the histogram is cut off on the right side, the highlights have been overexposed and the exposure needs to be decreased. Normal waterfall shots take in the whole waterfall but being creative can provide some stunning results. Resist the urge to immediately set up at the most traditional view and instead walk around the entire waterfall looking for different angles. If you have the right clothing (see previous clothing section) you might find a better shot in the run off from the falls or from behind or to the side. You may also want to zoom in and shoot just a portion of the falls that is uniquely interesting. Take the traditional shot, but challenge yourself to find a view that you have not seen before. White Balance – you can adjust your WB in camera, but with today’s post processing, I recommend shooting in RAW and leaving it on “auto” and adjusting afterwards. Overcast conditions tend to create a bluish tint that I remove in the saturation portion of the HSL panel in Lightroom as I like my water white. Conclusion – waterfalls scenes can some of the most dramatic in landscape photography, as stand-alone images or as part of an overall scene. Employing these “best practices” will help you create memorable images and make for a more enjoyable photographic trip. I am please to announce the the 6th book in my New England Self Guided Workshops Series. This newest book covers the city of Boston. No guide can cover all of the photo opportunities in Boston, as they are too numerous, and many change on a regular basis. This guide is geared to the photographer that is arriving in Boston and looking for 8-10 great photo opportunities that can be accomplished in a couple of days. The locations I have chosen are accessible by anyone with the ability to navigate a big city and does not mind some walking and carrying gear. While I am a landscape photographer and my main focus is on natural landscapes, Boston is such a beautiful city to photograph that I find myself often exploring and shooting its cityscapes, iconic structures, parks and gardens and street scenes that sometimes look like they are from the 19th century and sometimes the 21st. 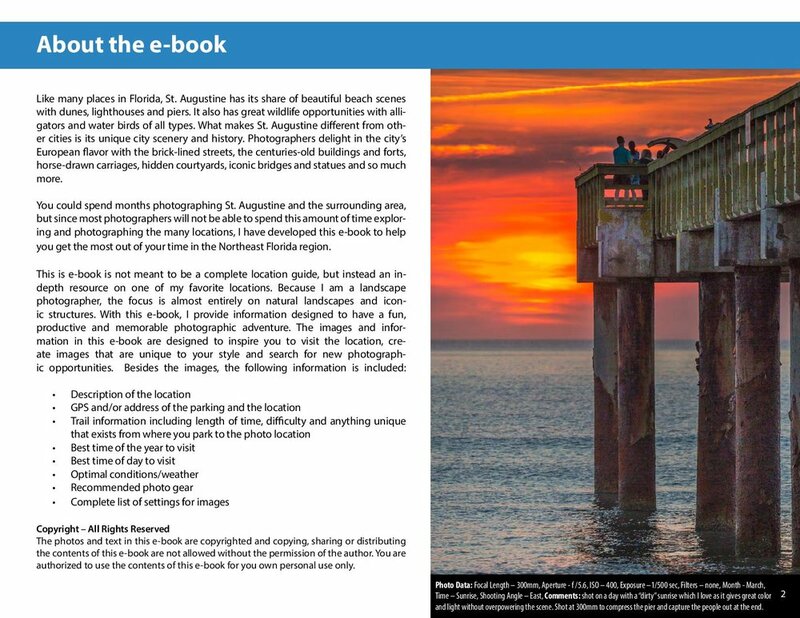 With this e-book, I provide information designed for you to have a fun, productive and memorable photographic adventure. The images and information are designed to inspire you to create images that are unique to your style, and to search for new photographic opportunities. Check out my store for additional information. Description of Attraction: This small lighthouse on a rocky shoreline is one of the better lighthouses to photograph due to its unobstructed location, position on a prominent point out on the rocks so it can be shot from both sides, and accessibility. It offers excellent composition opportunities with rocks and ocean in front and an open sky in the back for sunrise, sunset or various cloud formations. Location Address: The lighthouse is located in Winter Island Park and does not have an address so use 50 Winter Island Road, Salem, MA. Trail/Hiking Time: There is little or no walking time to the locations shown. Care must be taken climbing on any rocks at low tide, as they are very slippery with seaweed. Location #1: (above) This picture was shot looking straight east toward the rising sun. Depending on the tide, there are numerous vantage points either down on the water or on the grass above the rocks. There is quite a bit of latitude for movement depending on the framing and position of sun desired. Location #2: This was one of my first shots of the day and was done on the shoreline. The tide was low enabling you to pass the breakwater rocks. I included this shot to show some of the excellent foreground elements that can be included. Best time of day to visit: Certainly the hour before and after sunrise is excellent. Depending on the time of the year, you can always get a good angle. While I have not visited at sunset, this could also be a good location to have the light on the front of the lighthouse and rocks and any colors on the eastern horizon. As mentioned, there is an excellent view from the other side for sunset. Best time of year to visit: Any time of year works, but I prefer spring-fall in order to get the sun somewhere behind the lighthouse. In the winter it may be too far in the southern sky to include it along with the shoreline, but it may provide some other angles from above the lighthouse. Additional Information: This site has many more photo opportunities as there are trails above the lighthouse that allow you to shoot down at it as well as access points from the other side of the lighthouse for sunset shots. I will include these after I visit again.